WASHINGTON — October is candy lovers’ favorite month, so just imagine how big it is for the nice folks who make the stuff. “This is like our Super Bowl,” said Lauren Aardewijn of Hershey’s Co.
Their Reese’s Peanut Butter Cups are consistent favorites in that annual Super Bowl of candy. So perhaps it’s no surprise they just dominated a much bigger game: WTOP’s Candy Crush-Off 2017. Reese’s stood tall in the chocolate division (24 percent) and stood even taller in overall competition (30 percent). The closest runner-up in each of those divisions was Mars Inc.’s Snicker’s bar (11 percent and 9 percent, respectively). Those peanut butter cups actually outshined Mark Rypien’s Super Bowl XXVI performance. 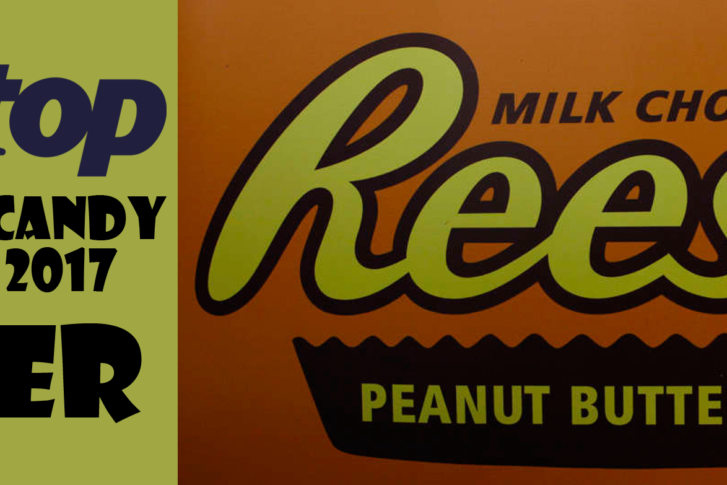 The results came as no surprise to Aardewijn: Reese’s Peanut Butter Cups, she said, are among Hershey’s biggest Halloween sellers (along with Hershey’s Milk Chocolate bars and KitKats). In the non-chocolate division, Skittles (11 percent) edged out Candy Corn (10 percent). The results left some fans of other sweets a little sour. WTOP news and programming director Mike McMearty, a toffee enthusiast, believed Heath and Skor deserved a fairer shake from voters, despite their apparent love affair with peanut butter. Another Skor aficionado, comedian Greg Behrendt, was taken aback that the winner lacked a certain ingredient. “I’m surprised that there’s not something with caramel at the top,” he said. The comedian (and America’s foremost candy thought leader) bemoaned what the survey shows about the state of candy in America. “I think a country that allows itself to enjoy M&Ms peanut [No. 3 overall at 6 percent] doesn’t want candy at all,” he said. OK. Let’s not let our emotions get the best of us. After all, it’s Oct. 31, we’re grown-ups, and we can have as much candy as we darn well please. The final results are below. Happy Halloween!